Lovingly handmade in small batches on The Island, this tasty beef biltong is the perfect healthy snack. High in protein with no MSG or additives. 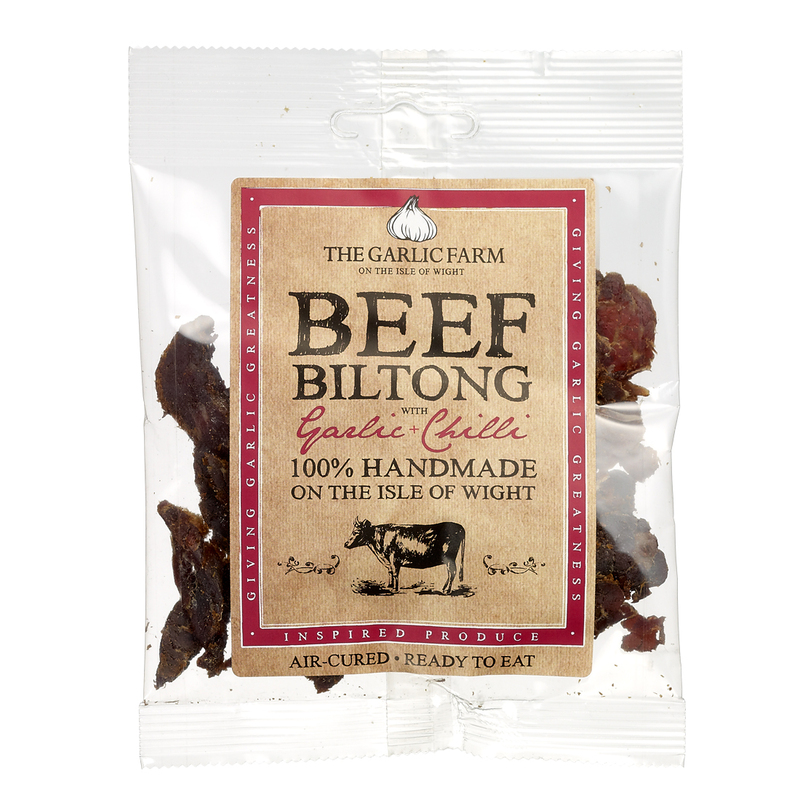 A delicious blend of quality beef, spice and garlic. 100% British Beef, Malt Vinegar (from barley), Sea Salt, Sugar, Chilli, Garlic, Ginger, Black, Pepper.